Neem oil has been used for centuries to treat dry, irritated or sensitive skin. 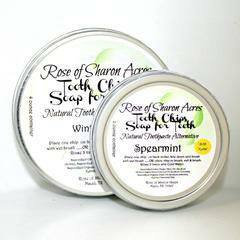 It promotes elasticity of the skin and has proven itself with complexion problems. We've combined Aloe and Goat Milk for their tremendous effects on skin/scalp health. The Tea Tree essential oil is highly regarded as an antimicrobial and antiseptic; it is useful for fungal infections and skin conditions. 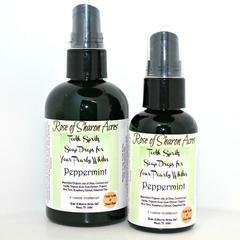 Peppermint essential oil helps with circulation and is also useful for itchy skin, eczema, psoriasis and dermatitis. We've combined it all into one bar that works from head to toe! 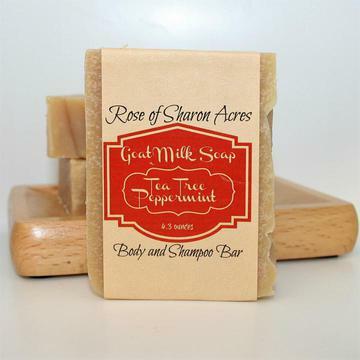 Our goal, with the inclusion of goat milk was to bring relief to itchy, flaky scalp issues. In hair care, goat milk replenishes the moisture in every strand by penetrating the hair shaft. It nourishes the scalp which adds life, luster and body to the hair. Goat Milk, Aloe vera (Aloe barbadensis), Saponified Coconut Oil (Sodium Cocoate), Saponified Extra Virgin Olive Oil (Sodium olivate), Saponified Organic Palm Oil (Sodium palmate), Palm Oil (Elaeis guineensis), Castor� Oil (Ricinus communis), Sweet Almond Oil (Prunus amygdalus), Neem� Oil (Azadirachta indica), Oryza Sativa (Rice) Bran Oil,�Melaleuca Alternifolia (Tea Tree) Essential Oil.�Mentha piperita oil (Peppermint) Essential Oil,��Rosemary Extract. I used baking soda and AC vinegar every other day for a week to get all the build up out of my hair, and washed it with this wonderful smelling soap after the baking soda. Not because I thought I needed to, but I loved the smell! It's been 4 weeks of using just the soap, and my hair is shiny, healthy, and feels great. They are right when they to really rinse your hair. It takes longer than with bottle shampoo, but leaves your hair so clean feeling. The soap leaves my long hair almost tangle free, so I just don't need ac vinegar very often. My skin feels clean too, and I love that I'm not using chemicals on my hair and skin! Now I'm ready to throw out the kids shampoo too! Thank you for making such wonderful products!